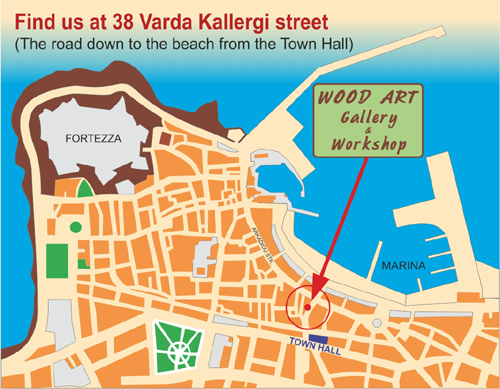 Our new address is 38 Varda Kallergi Street in the Old Town of Rethymno. Rethymno is an historic town on the island of Crete, a Greek island in the middle of the Mediterranean. Rethymno is located towards the centre of the island on the Northern coast. 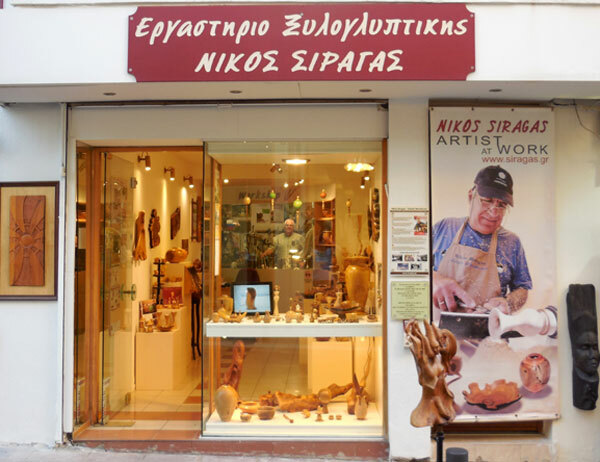 The workshop and gallery can be found in the area of the Old Town of Rethymno, on the east side. If you are coming by car you should follow signs for the Marina and park there. It costs about 1.80 euro for 4 hours. You should then head towards the town, the pedestrian car park exit is just opposite a cafe called Meli. So, you will leave the car park and turn right, with your back to the sea. After about 20 metres you will see the White Soldier Square (Agnostos) where there is a taxi rank and a statue of the Unknown Soldier. Continue past this square, staying on the beach road and at the next road junction (about 50 metres after the square) turn into the road on your left. 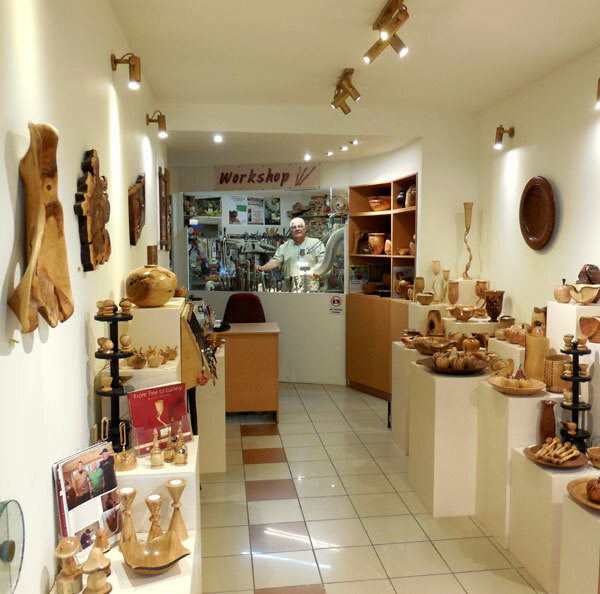 This is Varda Kallergi road and you should continue up this road, past the cross roads after about 20 metres and then you will see the signs for the gallery (Wood Art Gallery and Workshop) a bit further up the road on the right. Also open November to January in the mornings only, best to call to check if I am there.